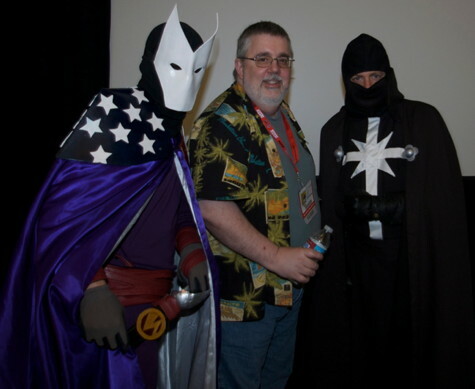 The author poses with two of his co-creations. One has superpowers. One has a sword. The other…a bottle of water. Click the image to see it larger…if you dare! This entry was posted in Uncategorized and tagged astro city, conventions, san diego, thunderbolts by Kurt Busiek. Bookmark the permalink.